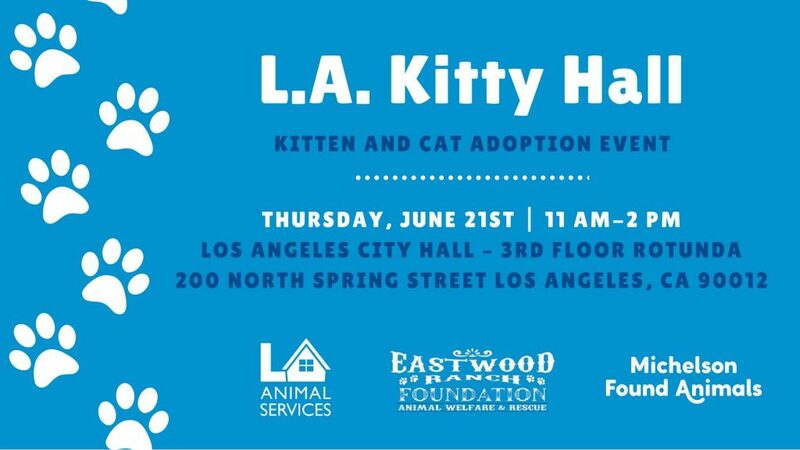 Join LA Animal Services on Thursday, June 21st from 11 am to 2 pm at Los Angeles City Hall where we will have furry feline friends available for adoption in the beautiful rotunda! 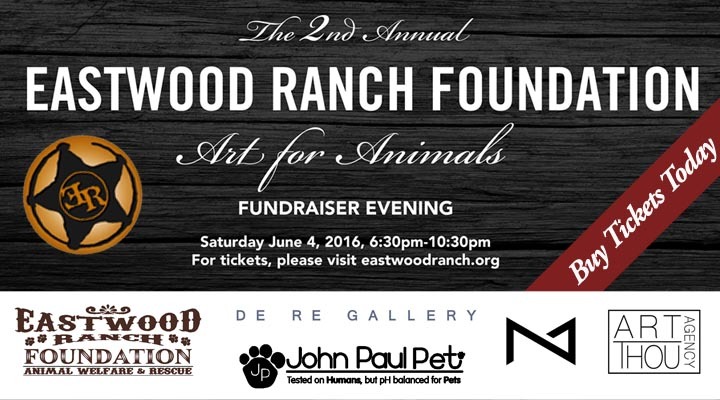 Eastwood Ranch Foundation will be there with several other rescues in the rotunda with adoptable cats. 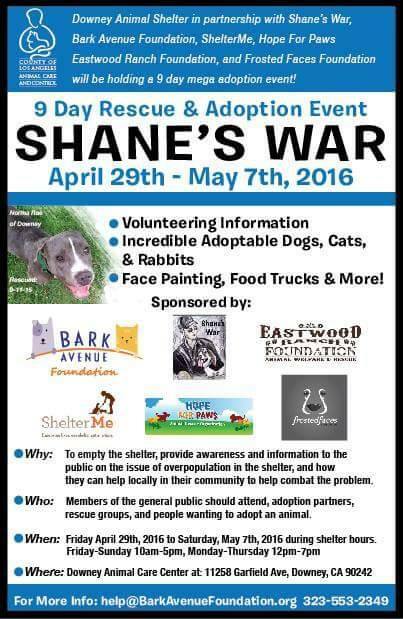 LAAS will be issuing free and discount spay/neuter vouchers for your pets. 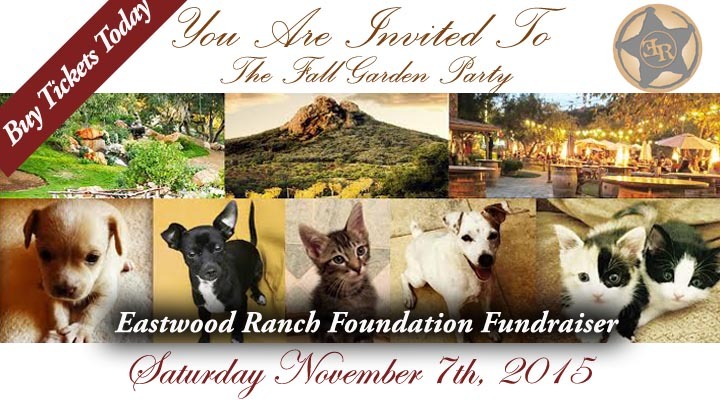 Visit us on your way to and from the Farmers Market to say hello and meet our adorable cats. 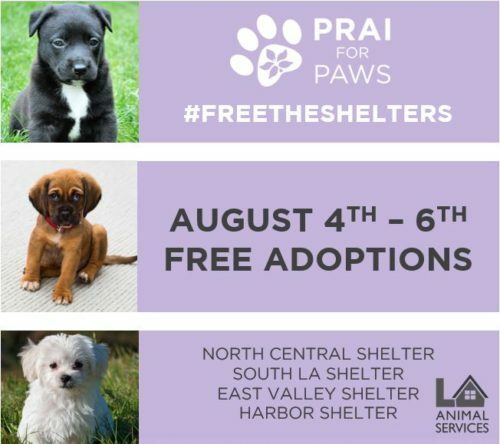 If you work at City Hall or in the DTLA area, you can adopt a cat or kitten at this event and pick up your new friend at the North Central Animal Services Center when you get off work, no later than 5:30 pm. Visit our event page on Facebook for questions, answers and more details.